Angelique Fullwood remembers the summer after Trayvon Martin died the way many people remember singular public moments — vividly and with clarity. She was sitting in her living room with her parents watching the trial of George Zimmerman, the man who fatally shot Martin, a 17-year-old Florida teenager, in 2012. And she stared in silence when the jurors returned the verdict: not guilty. Angelique felt angry, but not powerless. She logged on to Facebook, found a local rally, and attended what would be the first of many protests. Eventually, she joined Dream Defenders, a Florida-based youth-led grass-roots organization focused on social justice. For the 21-year-old Tampa native, activism became a way to shape a future, free from oppression and injustice. Angelique’s interest in social justice began years earlier, and much closer to home. Her father, who is now a pastor and business owner, spent time in prison on drug-related charges before she was born. It wasn’t until she was 12 that she learned of her father’s past, when he revealed his experiences during an in-church testimony. While it was difficult for her to reconcile the image of her father with the man he once was, Angelique said the experience taught her to look past facades and seek out the deeper, more human sides of people — a sentiment that she says fuels her reporting. Despite the years that have passed since Angelique’s first protest, her activism lives on, now in a new form: journalism. 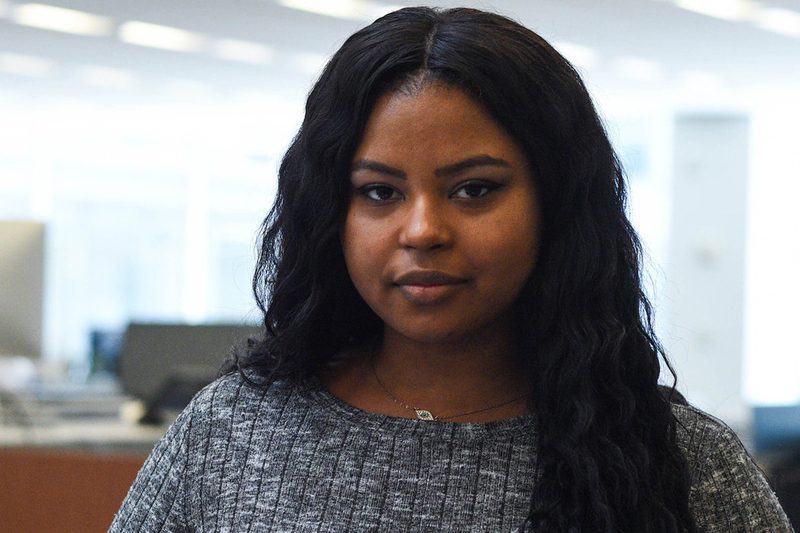 Angelique believes that the essence of journalism — telling stories that citizens need to know and reporting on issues that are historically underreported — can be as productive as protest. Gov. Andrew M. Cuomo signed a bill phasing in a rise of the minimum wage to $15 statewide by 2020. Still, some low-income workers are not convinced that a higher minimum wage will fix everything.